Facebook announced on Thursday they have green-lit M, their virtual digital assistant for Messenger that Facebook began testing in August 2015. Suggestions from M is available to all iOS and Android users in the U.S currently, with other countries being included later, timing TBD. Paying or requesting money: M recognizes when people are discussing payments and gives them the option of easily sending or requesting money. Sharing your location: M can suggest an option to share your location during a conversation. Making plans: If people are talking about getting together, M helps with coordinating a plan. Starting a poll (in group conversations only): Have a hard time making decisions in a group? M lets you set a poll topic and vote in group conversations. Getting a ride: Talking about going somewhere? M suggests, “Get a Ride,” and shares an option of Lyft or Uber. 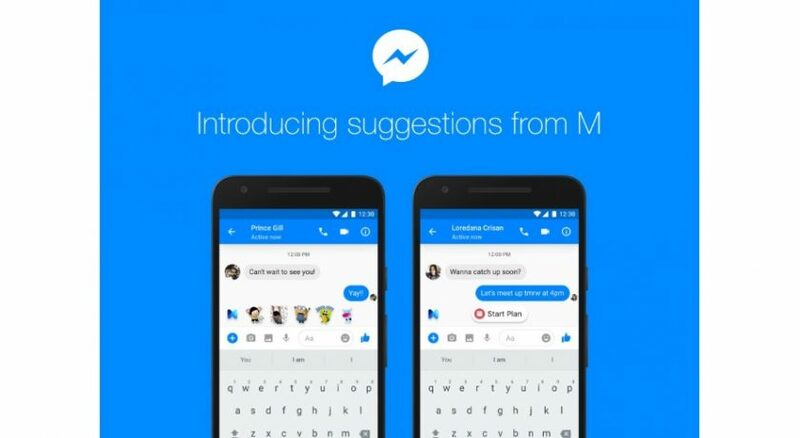 For those who are not into M, users can either ignore suggestions or mute M in their messenger settings. Pointing out that this could be another Facebook venture into a new feature that may fall flat. Sid Lee created a bus-shelter that pulls swatches in real-time from colors that pass by. 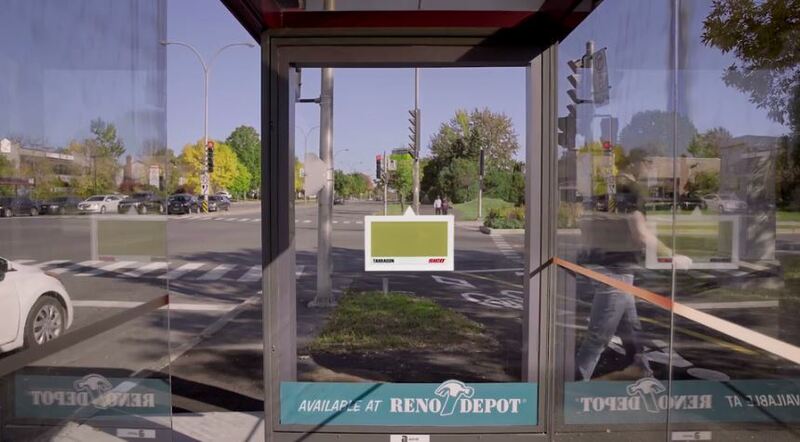 The campaign, titled “Street Swatches,” involved installing a sensor in the ad space of a bus shelter that captured passing colors and instantly pulled up corresponding paint swatches from SICO pant. Play video. Ties real-life experiences to SICO products. Brand recall: Have you ever seen a color, loved it and wanted to replicate elsewhere? This quick solutions put a brand name and color number to a common problem. Great use of innovative technology that is user-friendly. The U.S. Border and Protection (CBP) has plans to distribute a proposal that would ask travelers from China to share their social media profiles, platforms and handles that they use according to Politico. Travelers who hold both both business and visitor visas would be affected — which is almost 3.6 Million applicants each year. The mission of the movement is to “facilitate legitimate travel,” however travelers do have the right to option no. Without any negative consequences. The U.S. has already started scanning social accounts for travelers under the Visa Waiver program. Of those that have been affected, the majority are visiting from Europe. Following President Trump’s failed executive ban order banning people from seven Muslim-majority countries from entering the United States, the country took action. Will we see the same response for social media rights? Social Media is private content shared in a public space. This will be a lesson in understanding how much the government can intervene on these platforms. Popular sites like Facebook are blocked in China, with the majority of Chinese citizens using platforms like Weibo or Renren. Will we start to see social platforms blocked in the U.S.? The NFL Players Association represents every current player through its licensing and marketing side and has developed a database of categorized players for brand partnership opportunities. 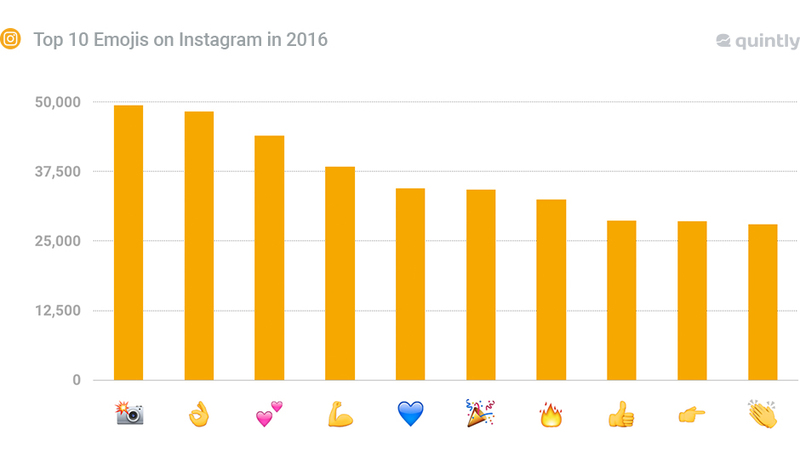 According to a report by social media analytics firm Quintly, there has been a 43 percent overall increase of Instagram posts that include emojis. The study found that posts without emojis had an interaction rate of 1.77% versus posts with emojis seeing a 2.07% engagement rate. With both popular and brand accounts shying away from standard copy (businesses are equally likely to use emojis in images as well as in video posts) and moving into emoji-language on instagram, will we see text completely disappear? Download the report for more information on the most popular emojis and the use of seasonal emojis. McDonald’s hosted simultaneous live events on Facebook, Instagram and Twitter in support of their latest Big Mac activation. Participating fans were asked to help find clues and solve puzzles to open up a secret vault of Big Mac Special Sauce. Fans who participated on the platform that solved the clues first, were automatically entered for a chance to win a bottle and directed to visit a landing page this evening to see if they’ve won. The multi-channel activation hit different demographics and introduced a competitive aspect to fans’ participation. Live event alerts break through the noise of every day content, driving more views. Fans like to be heard and the progress of each event depended on 1:1 engagement.